Update: Fun N More has made some fairly significant changes since this review. 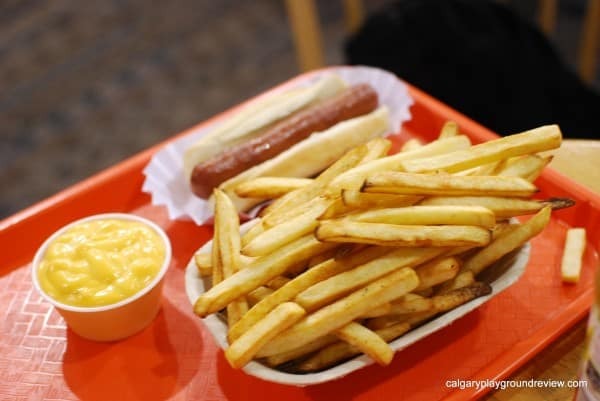 Please check out the new review of Fun N More. Admission Cost: $7.95 for ages 1-3, $10.95 for ages 4 and older, children under 1 are free. 2 adults come in free (when accompanying children, additional adults are $4.95. Winter Park Skating: Additional $4.95 for ages 4 and up (including adults). Coin operated Rides and Arcade Game: $0.25 per play/ride. Footwear: Socks. Socks can be purchased ($2) if you forget. Safety Features/Concerns: Children and adults get matching wrist bands that get checked and cut off at the door. The doors in and out have to be unlocked by the staff at the front. The toddler area is gated but the latch doesn’t always latch properly. 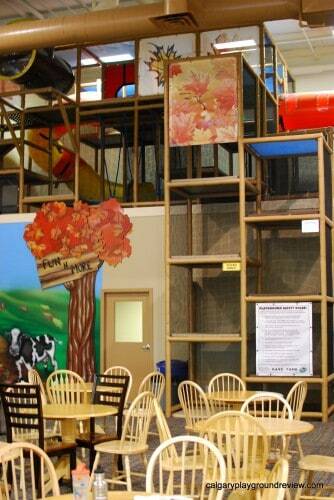 Play Area Features: Large 2 level indoor playground structure with climbers, big balls, tunnel slides, rollers – children under 5 should be accompanied. 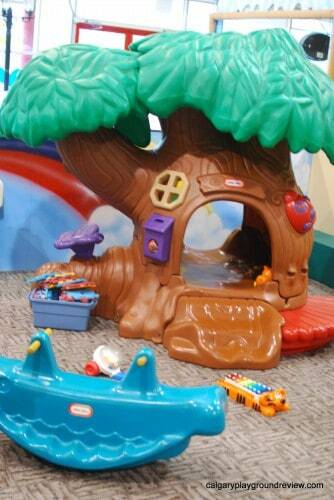 Toddler area (4 and under) tree house, plastic toys, small climber with slide. Eye Click – interactive floor mat. Black Light Mini-golf (9 holes). Winter Park skating: artificial ice surface. A few coin operated rides and 1 arcade game. Additional Services: 4 party rooms, group bookings, preschool and play care drop in program, summer playcamps. 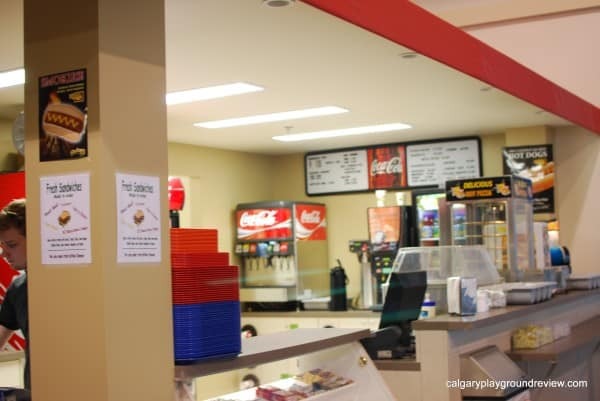 Food Services: Fast food style concession with a large eating area that doubles as seating for parents. Overall Assessment: Fun n’ More opened this March in the old Let’s Play location. It has undergone extensive renovations and aside from some smaller items, it looks like a brand new place. I met up with a friend who also has a three year old on a Wednesday morning to check it out. 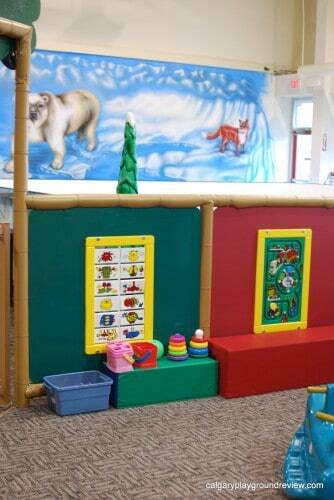 The Spring Tots area is recommended for kids 4 and under. A number of things I recognized from the previous play place’s toddler area and show some wear. The area isn’t huge but Gordie and his friend did enjoy spending part of their time there. I think it would be best suited to kids between 1 and 2.5. The last feature that is free with admission is the Eye Click. Interactive floor games are projected onto the floor. The sign posted at the Eye Click states that only 2 kids should play on the Eye Click at one time. I found the projection a little difficult to see – it does show up better than it looks in the picture I took below though. Our kids were too young for the Winter Park artificial ice indoor skating, so we weren’t able to try it out. We also didn’t see anyone on it that morning. I’d love to hear thoughts on it from someone who’s used it though. It’s a decent size for kids but I think adults would find the space a bit small. Our kids were too young for the black light (9 hole) mini-golf too. It’s also in a separate room so I haven’t seen what it looks like either. I did see a family going in with their golf clubs though. We ended up staying for lunch. Most of the food was typical fast food concession food, but the sandwich I had was made to order and pretty decent for $5. Our kids had a good time and we were able to keep a pretty good eye from them from the seating area and have a (interrupted) grown-up conversation while they played. I think if Gordie had been there without his friend we wouldn’t have had quite as good a time – 3 years old is an awkward age for this play place. Too young to be independent on the climber, play mini-golf or go skating but getting too old for the toddler area to really hold their interest. Have you been to this play place? Have a suggestion for a playground review? Would you like to write a guest review? Write your thoughts in the comments. Thanks for the review. Let’s Play was such a dive I swore we’d never go back, but we’ll give these guys a shot. Thanks for the review. We live not too far away and were thinking about taking the kids – but we might wait until our 3 1/2 year old gets a bit older. He would NOT be happy being left behind from his sister on the bigger things. Wow this playground looks awesome and perfect for the kids less than the 4 years.Thanks for sharing the pics and information too. Hi! My 7 year old son and daughter and my 9 year old were recently at a party here for 3 hours and were playing non-stop! They loved the skating – the boards were good for new skaters to hold onto and they thought the “ice” was cool! The mini-golf was a huge hit, great graphics and props made it fun and inviting for the kids. 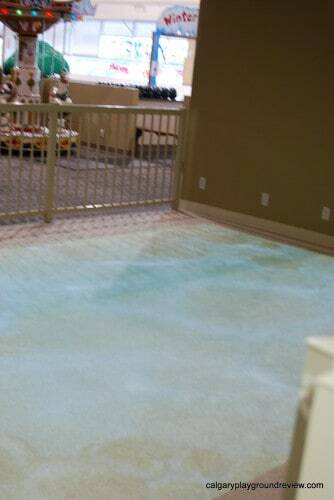 As far as I know, this is the only kid-friendly, indoor mini-golf place in Calgary. I agree with the cleanliness comment – very clean! 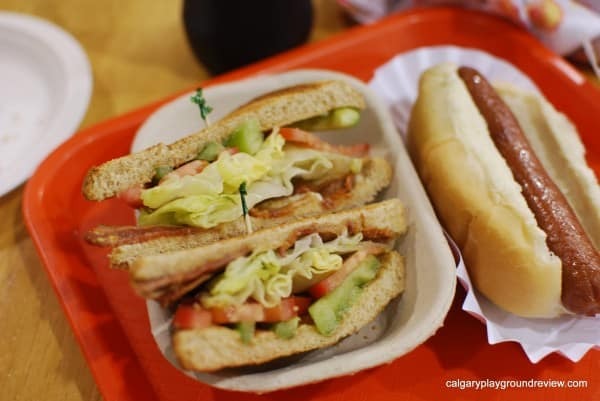 I also had a great sandwich and also appreciated that there wasn’t a deep fryer in the place – everything is baked. I didn’t go in the climbing structure, but my kids loved it! I would like to point out that, although the website says adults are free when accompanying a child, this may not be the case if your child is under a year old. I went there with a friend and our 11-month-olds and they told us that we would have to pay to go in because our children were free. They do not indicate this on their website, so I have emailed them to confirm whether this is true. No other play places we have been to have tried to make us pay if our children were free. Very disappointing. I took my 6 and 8 year old last year when they re-opened a couple of times they have not asked to go back. Other parents I have spoken to have also said that they don’t like the extra cost of mini golf and skating. I found it hard to keep an eye on my children and communicate with them up so high. I also have an 18 month old and I feel he would get bored playing in the tot area very quickly, he was only one when we went the first time. I don’t think we will be going back. I was very disappointed because I love taking my kids to these play places. 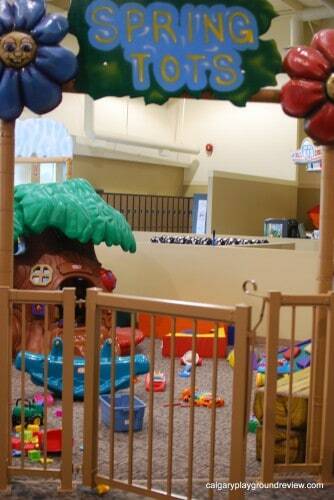 I really enjoyed this playplace!!! I took little ones in one visit, they were busy busy playing and fell asleep very well afterwards. The good was very inexpensive and all baked!! I took older school age kids the next time and they had a blast! The mini golf is very well done and the skating was a hoot! Definitely worth the cost you pay to get in. Would recommend it to all! I am cross-posting this review which I wrote on the Kids Play – All Day page. Hey South Calgary parents! 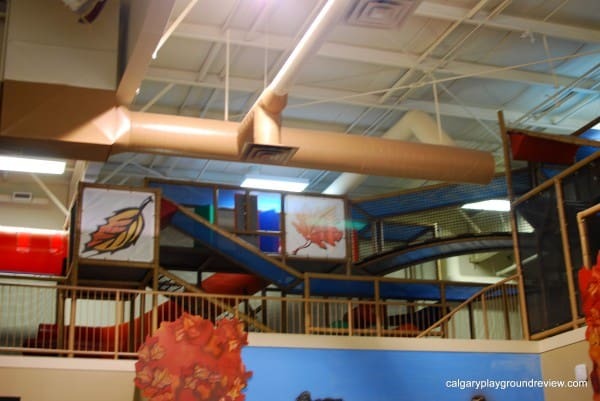 If you loved Kids Play (or even if you didn’t) don’t be afraid to check out Fun n’ More located at McLeod and Canyon Meadows Drive. I have no financial interest in their business, but I want to promote them because they are an underrated play facility and they saved my birthday party bacon last weekend when Kids Play left me high and dry. With 10 minutes notice, Fun n’ More made a party room for my 21 guests and scared up hotdogs, juice, water and chips for everyone. The party was saved. 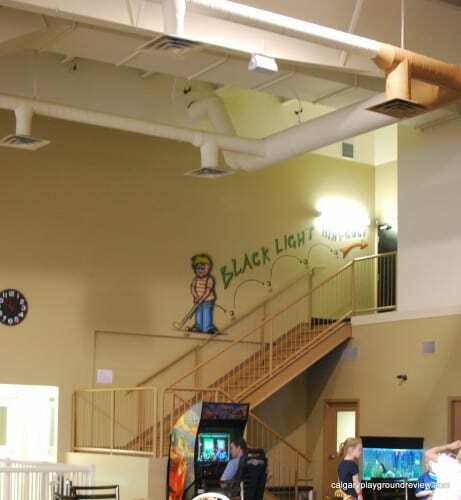 There used to be a play facility called Let’s Play at the location that now serves Fun n’ More. 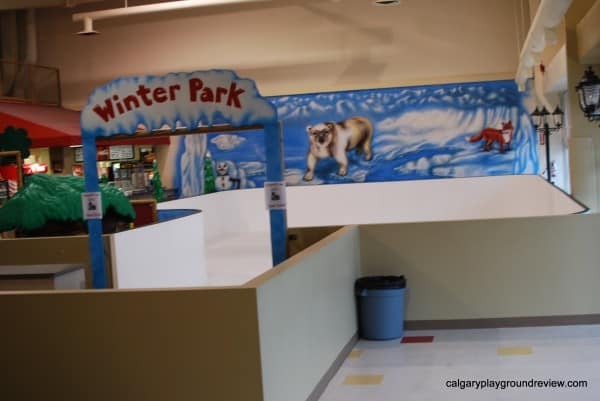 It seems to me that most parents still know the spot as Let’s Play even though it changed ownership and was completely remodeled at least 18 months ago. Let’s Play was pretty bad but please give Fun n’ More a chance! 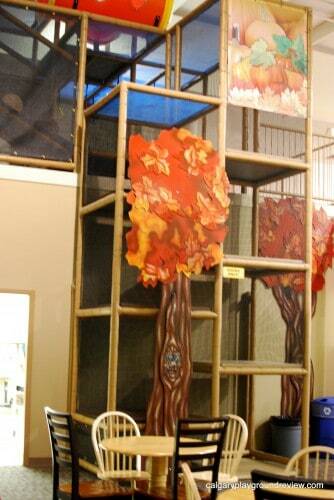 Their play structure is constructed by the same manufacturer as Kids Play, but it’s much bigger. There is a whole lot of seating for parents and a gated off baby area. There is an arcade and one of those game systems that projects onto the floor. You can pay $5 extra for “ice” skating or mini golf. I find it to be an ideal spot where all three of my kids (6, 3, and 1 yr) can play safely with proper supervision by just one parent. Lastly, they have a preschool on the premises that is a delightful surprise. If you are in the market for a preschool I highly recommend taking a tour. 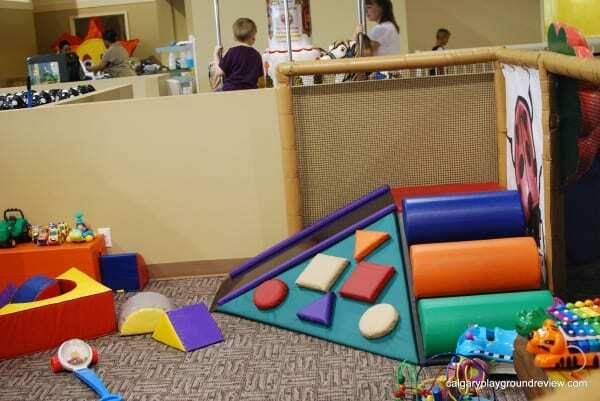 It is separate from the play facility and it is awesome – a diamond in the rough. A side note after reading the comments above: before you balk at the extra cost of mini golf or skating, please consider that these play facilities are a tough business with a lot of overhead. Responsible business owners have to generate enough revenue to cover expenses and support their families. What good is a premium play facility that has free admission for all adults if the business can’t stay afloat??? Being left in a lurch by Kids Play All Day really opened my eyes to this fact. We went here on a Wednesday night. Ice-rink is Huge waste of space. Looks awful too. We go I have been so annoyed with the customer service that I ask myself what the heck I am doing there, giving these people my money. The food is terrible and never stocked. I asked the girl today for a tea and she got totally snarky when I asked how come a large is more than the medium. If she had an answer like, ” to cover the extra cost of the larger cup”Or something…. Anything that was more than…. Ummm well ones a medium and ones a large that would have been great. I should have taken a picture, but every game except 2 were out if service today, including the little ride ons. I can’t believe after spending more than any other play place in town that they charge extra for mini golf and bowling. There was a party in there that was called to the room to eat and as I was leaving the mom was at the front asking where the food was. She was annoyed as there were all these hungry kids waiting in a small room for food that wasn’t coming. Not even drinks! She was met with, ” it’s coming mam”. I couldn’t get out fast enough. Let’s play may have been in need of updating, but at least the people were kind and accommodating. I’ve learned my lesson about fun and more now, and I will NEVER give them another penny of my money. Nor will anyone I know. For the price is is absolutely not worth going. You pay an entry fee (10.95 for any child over four) and once you get in nearly everything else except the play structure costs additional money. You also can’t bring in your own food which forces you to buy expensive over priced food from the cafe, if you want t stay for more than an hour or so with kids. The bowling, mini golf, arcade, and small rides all cost extra. I went with a 4 and 6 year old and they were both bored of the play structure after about an hour. Given that both the science centre and zoo have play structures I definitely think it is worth spending the bit extra and going there. WAY better experience for everyone. I will definitely not be going back and wish we hadn’t paid to get the first time.